Rush University is a state-of-the-art medical center located in the Illinois Medical District near Chicago’s Loop. As a private, non-denominational university that is part of the nation’s largest urban medical district, Rush University Medical Center is part of a hub of leading-edge patient care, research and education institutions. Mike oversees all of Block Electric’s projects at Rush University Medical Center and works closely with the foremen on individual projects. He also attends all meetings to ensure each project is on schedule and moving forward in a timely manner. Being a valued employee and electrician at Rush University Medical Center, Mike’s close relationship with the hospital executives is integral when bringing information to them regarding new projects, as well as investigating and exploring the existing conditions of projects that are currently in progress. This allows the hospital to design new areas in-house with the confidence of knowing the electrical information is accurate and meets their needs. Rush University Medical Center’s confidence in Mike’s expertise is evident and is a direct reflection of the relationship he has worked hard to build during all his years of service at the hospital. Prior to being hired by Block Electric in June of 1993, Mike attended Western Illinois University. He was given the opportunity to join the apprenticeship program through a family friend who happened to be the electrical inspector in his hometown of Niles. 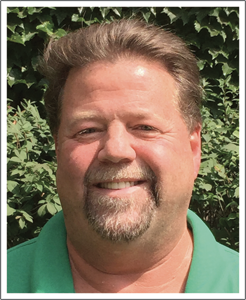 When he’s not busy overseeing Block Electric’s day to day operations at Rush University Medical Center, Mike enjoys backyard barbecues, fishing, golfing, gardening and watching the Cubs win. Mike lives in Mundelein with his wife Sharon, and is the father of Joseph, 27, and Jessie, 24.